Today I am going to share with you the perfect summer salad recipe. I cannot tell you enough how absolutely amazing this pasta salad is. If you could bottle up the taste of summer, this would be it folks. As you get ready for summer cookouts and as you seek Fourth of July food ideas, real easy recipes like this will always deliver! Put this one at the top of your list, I bet my bottom dollar you will not be disappointed. We make this all the time. During the summer, the spring, the fall and I have even make it in the winter. I have made it as a main course many, many times by adding cooked chicken. I have made it as a side dish when omitting the chicken. I have taken it to events we were invited to, I have served it at the park at birthday parties, I have packed it up for a picnic, I have packed it and taken it to the soccer fields as an on-the-go-dinner. You cannot go wrong with this. It serves perfectly hot or cold. Make a big batch and store it in the fridge to eat for lunch all week long. Have I sold you on it yet? I wish I could say I was the creator, but I was not. My blogging friend Tiffany from Eat at Home invented this, and boy is it perfect. Ready for the step by step tutorial? This is crazy easy and my kids love to help. 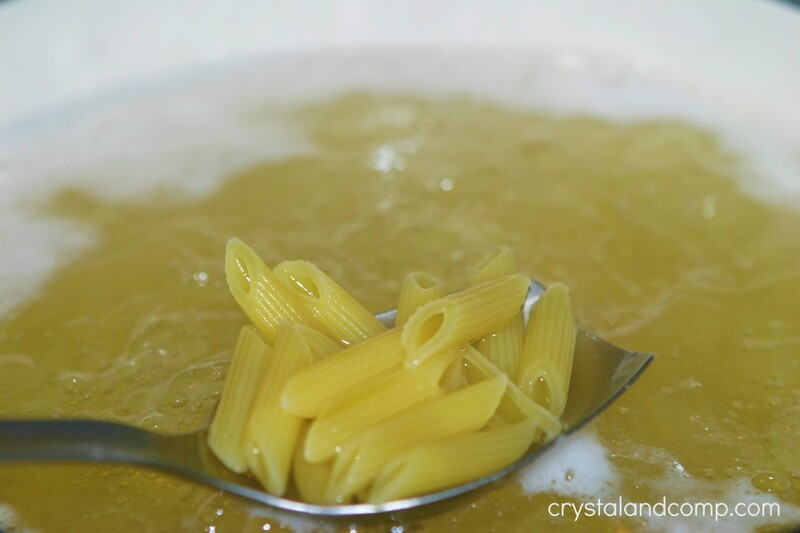 Bring a pot of water to a boil for your pasta. I usually use bow tie, but I recently purchased a large quantity of penne pasta from Sam’s, so we’re going with that. Bring it to a boil for 9 minutes. The last 3 minutes or so of cooking, add in your broccoli. Yes, just throw it right into the pasta water. We want to get it just a bit tender. Is that called blanching? 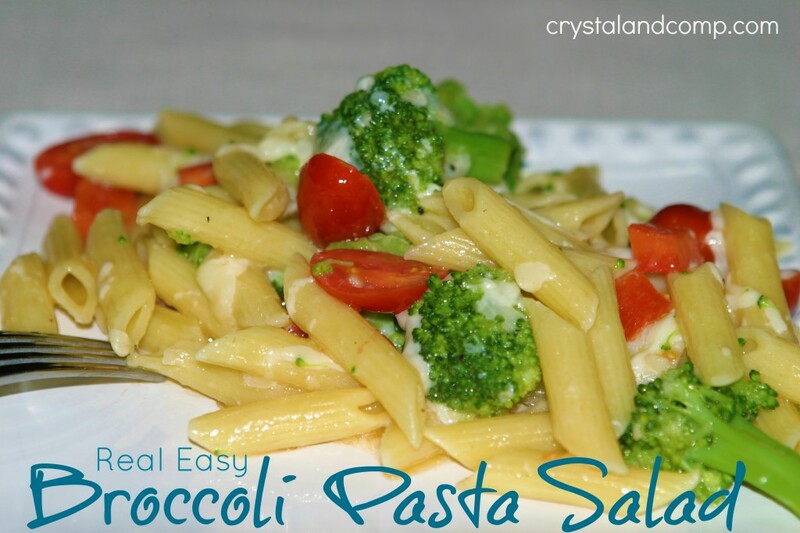 While the pasta/broccoli are finishing up stir up your dressing. My kids love to help with this part. 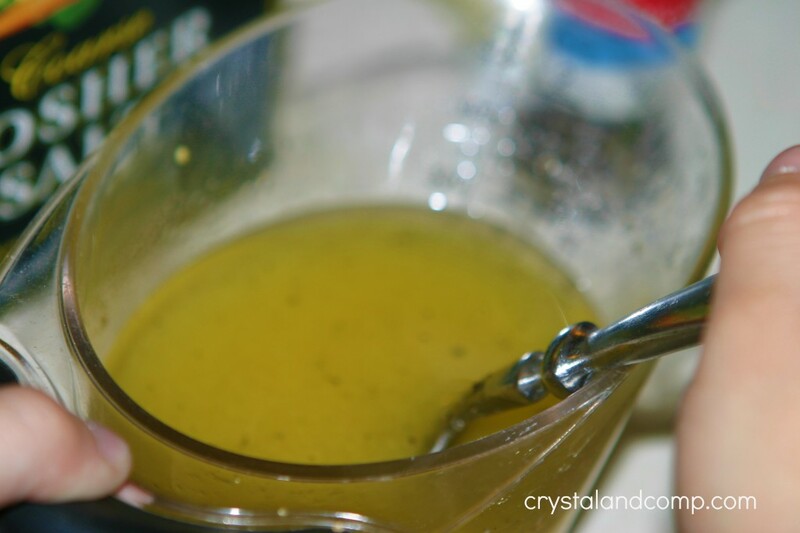 Add the vegetable oil, the olive oil, the white wine vinegar, Dijon mustard, garlic and salt and pepper. 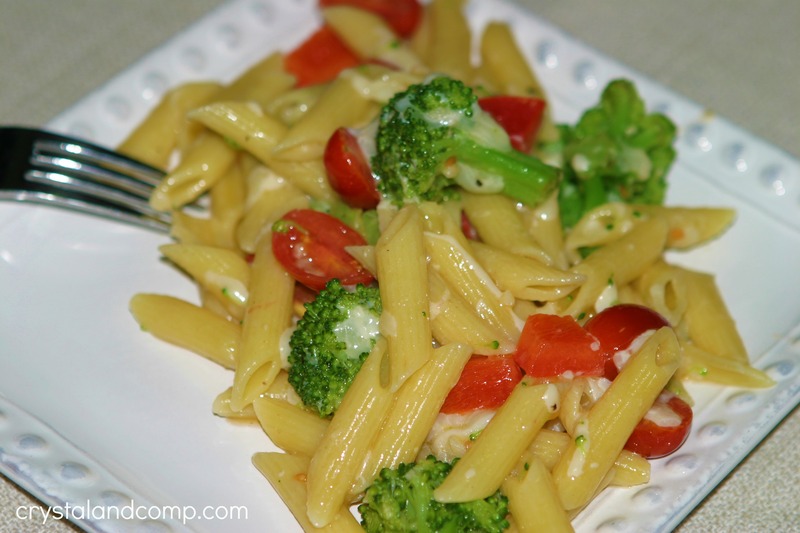 Drain your pasta and broccoli and return it back to the pot. 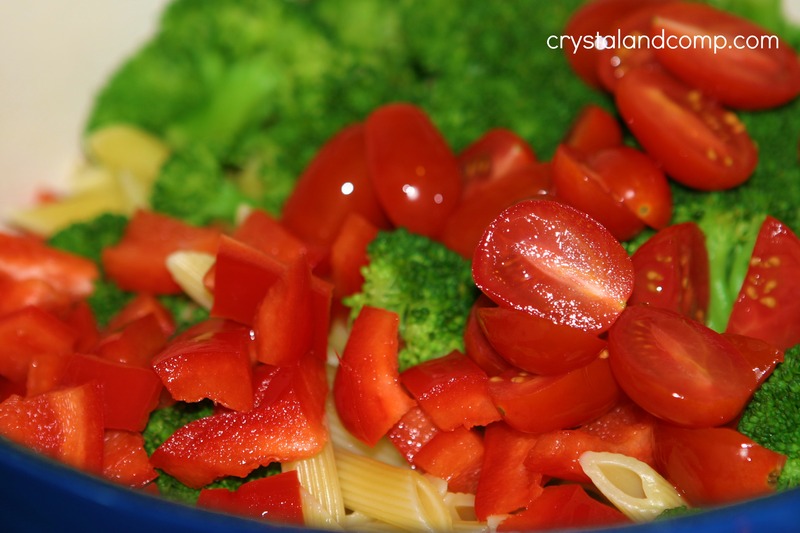 Toss the halved cherry tomatoes and the diced bell pepper into the pot with the pasta and broccoli. If you’re adding cooked chicken this is where you will do that. A rotisserie chicken from the deli is perfect. Or, the next time you grill up chicken, cook up a few extra breasts, dice them and freeze to have on hand for recipes like this. Pour the dressing over top. 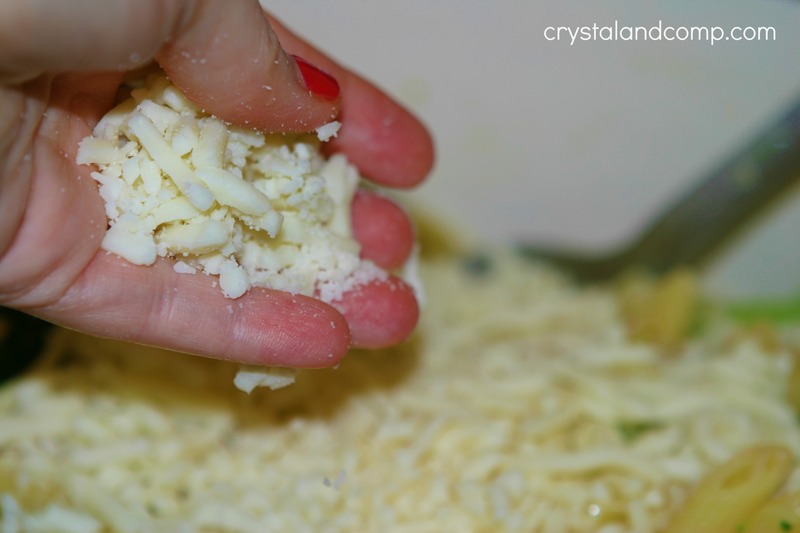 Toss in the Mozzarella cheese. 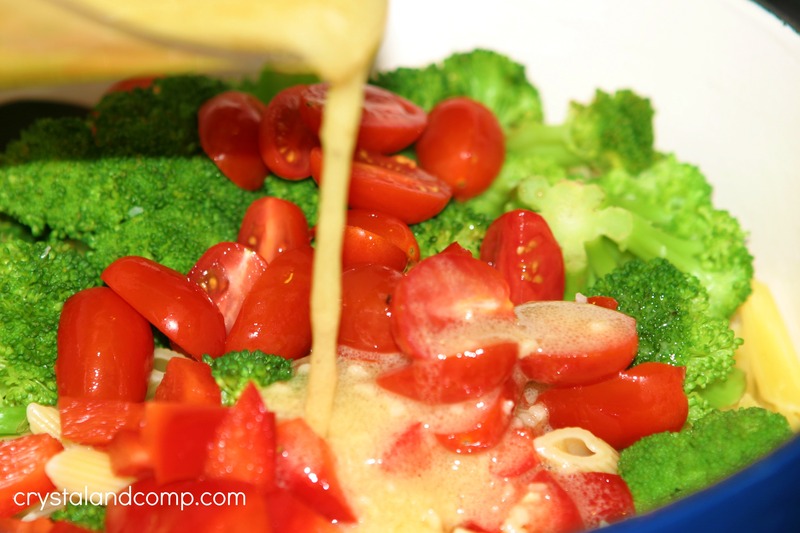 The cheese will kind of melt and attach to the pasta and broccoli. My husband and kids love it. I love it even more, if that is even possible. Just make it, you’ll love it! 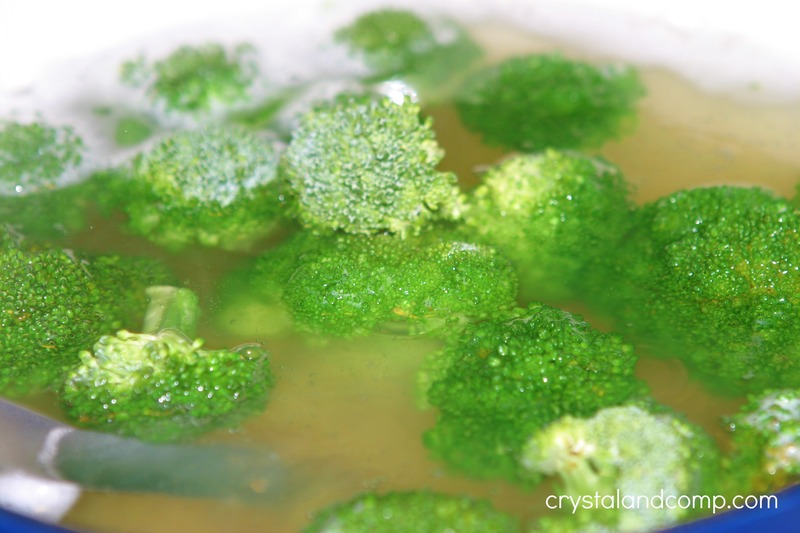 To view the original recipe visit my friend Tiffany at Eat at Home. This looks so great! I’ve included it in my round up today!